Plant a thought, reap an action. Sow a habit, reap your character. Anyone who has ever tried to break a habit knows the struggle: it can feel like pushing a rock uphill, interminably. …& our myths reflection our psyche. Evidently, just to dream them up, the human condition must contain all the slings & arrows of Sisyphus, the labours of Hercules, & some more inconveniences besides. But our good fortune is that there is Rolfing® Structural Integration, for the Devil of Habit is not wrought of stone or granite—if he were a chisel would fix him, or a bulldozer. Instead this devil lacks real substance, so still confounds us. Rolfing SI provides us with the rare & subtile armory to confront this devil head on, tame him, & bring him under our yoke. This is the yoga of integration. Dropping the devil-metaphor, we might imagine habits across spectrum of expression—like all the colours in a rainbow. Let us stipulate Red as physical, postural, mineral. Purple is entirely psychological or conceptual; this is to say, habits of thinking & world-view. Somewhere around Green, they blend into behaviour—patterns of movement. Significantly, all expressions of habit are mutually reinforcing. If a given habit happens to serve us, then good. If not, then it is a vampire of a devil indeed—an insidious existential vortex, consuming more and more vital fluid & gradually desiccating our lives. Adam Smith claimed in The Wealth of Nations that “a rising tide lifteth all ships.” Evaluations of laissez-faire economic policy aside, Smith’s observation points to the inter-relativity of all things. He might also have noted the obverse of his statement—that an existential whirlpool can swallow all the boats in the bay if it goes unchecked. Likewise a nasty habit haunts the whole village. 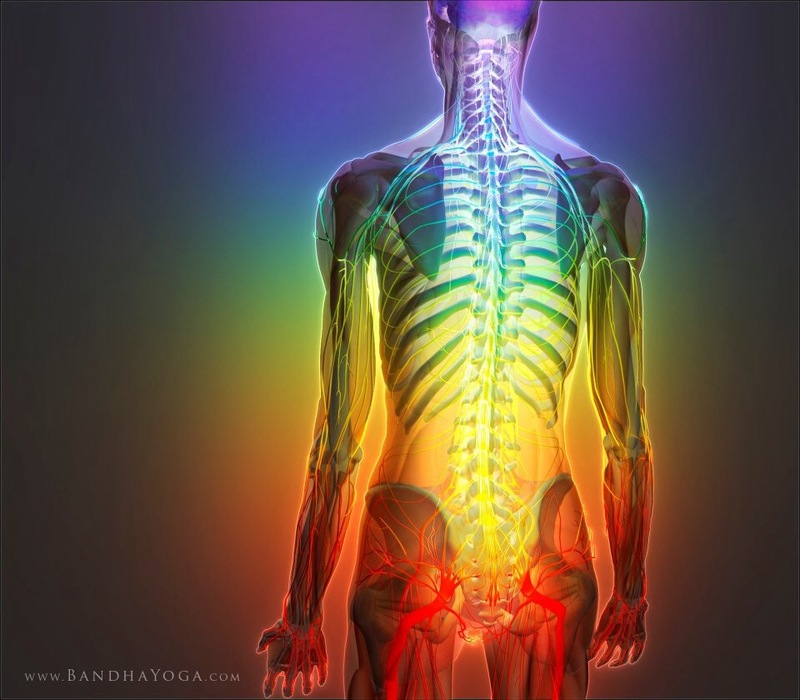 Rolfing SI manages to confront this spectre through all aspects of the spectrum. The Red end of habit appears as fascia, or connective-tissue throughout the body. This matrix serves to structurally reinforce particular patterns of movement. Fascia forms to strengthen certain pathways & to discourage deviations from it. Notice that specific behaviors determine & potentiate this physical condition. Notice furthermore that thought-patterns inform the said behaviors, demonstrating a sort of downward causation from the subtle to the tangible. Consider also that the relation is omni-directional. The reverse of downward causation holds true as well: posture influences our way of thinking (see about a million articles & TED Talks about the posture-psychology interplay). The field of embodied cognition investigates this interplay & leads to the conclusion that our brains are not bounded by the bony orbs atop our spinal columns, but rather that thinking is diffuse & transpires throughout our whole body (at the very least). Suppose I spend all my free time pounding out blog posts for the company website because I just love it. And suppose I perform the said pastime with the peculiar posture of a great ape—that is to say neither perpendicular nor prone, but rather in some unhappy entanglement of the two. In ernest response to sitting so much time in the (counter)indicated position, my body will begin to form layers of fascia to buttress this lackadaisical orientation, perpetuating the pattern on physical plane. 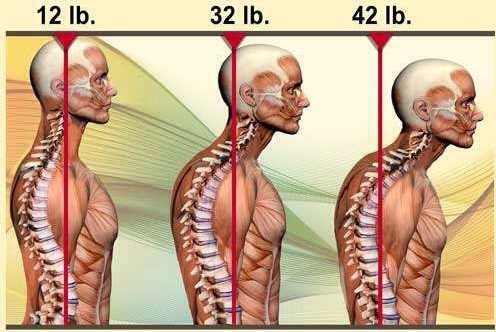 Connective tissue in the front of my neck will shorten, while its posterior counterpart will thicken & rigidify under the constant Newtonian strain of holding my head on. Concurrently, as a creature of habit both physical & psychological, I will accustom myself to performing this particular pastime in this specific way. So the more I crane my neck forward, the more my neck will crane forward, till it’s fixed. It’s a veritable vortex—a vicious circle, auto-perpetuating & self-reinforcing. I make the fascia to form, & the fascia forms me. And it holds me there. At The Way of the Elbow, my task is to free my clients from these living gyves. Through hands-on manipulation, somatic exploration, & movement repatterning, I help my clients address their potentially unhelpful habits along all colors of the rainbow (i. e. all its various aspects) so that my clients can experience the immaculate joy of living in the harmony of body, mind, & spirit.